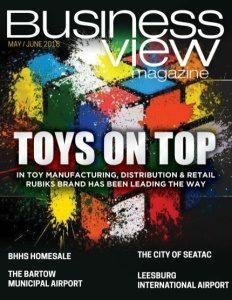 Business View Magazine interviews representatives from Phoenix Fabricators & Erectors, LLC, as part of our focus on best business practices. 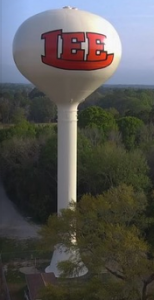 It is estimated that there are some 50,000 elevated water tanks that rise high above the cities, towns, and counties of the United States, and that Phoenix Fabricators & Erectors, LLC (“Phoenix”) of Avon, Indiana has constructed approximately 5,000 of them. The company, which engages in the foundation, fabrication, engineering, erecting, painting, modification, relocation, service, and maintenance of water tank systems, likewise rose from the ashes of a predecessor entity, Universal Tank and Ironworks, in 1986, to become an industry leader with a reputation for exceptional quality in the design, manufacturing, and erection of multi-column, single pedestal, and fluted column water tanks. Some 32 years ago, a half dozen, highly motivated, middle managers pooled their resources to purchase the assets of the defunct Universal Tank and Ironworks. 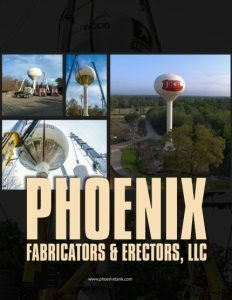 They chose the name “Phoenix” for their new company as it symbolized a business rising to new life from its ashes. 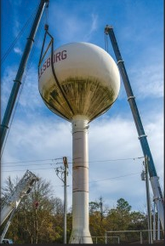 Over the last three decades, Phoenix Fabricators & Erectors, LLC has constructed more than 5,000 water towers of all styles, ranging in size from 30,000 to 2,000,000 gallons, all across the American landscape. That’s a business that’s not merely rising – it’s soaring. Check out this handpicked feature on Keller Williams Realty Phoenix – The power of team work.